Your credit score affects both your application approval and the mortgage interest rate you’ll end up paying. Your credit score is a major factor in the mortgage approval process for two reasons. First, most lenders have a minimum credit score requirement, and if your score falls below this threshold, your application will be rejected. In addition, your credit score plays a big role in determining the mortgage interest rate you’ll be offered. And, you may be surprised at the difference that a small reduction in your rate can make over the term of a 15- or 30-year mortgage loan. Your income: The lender wants to know that you earn enough money to comfortably afford your monthly mortgage payments. Specifically, the lender will examine your debt-to-income ratio. While there may be some flexibility, the industry standard is a maximum mortgage payment of 28% of your pre-tax income and maximum total monthly debts (including your new mortgage) of 36% of your income. Your employment history: In addition to your income, lenders want to know that you have a history of stable employment. At a minimum, lenders generally want to see at least two years of steady employment in the same industry with no significant breaks. In other words, if you switched jobs in the past couple of years and still work in the same business, you’re probably fine. On the other hand, if you were unemployed for a six-month stretch in recent years, it could be an obstacle to mortgage approval. Your assets: Lenders generally require a certain amount of money in reserve. The idea here is the lender wants to know that in the event of a job loss or other financial strain, you’ll still be able to make your mortgage payments. Your credit: Last but certainly not least, your lender will consider your credit -- specifically your FICO® Score. While not a universal rule, most lenders I’ve ever dealt with pull borrowers’ FICO® Scores from all three credit bureaus and use the middle score. For example, if your three FICO® Scores are 701, 710, and 715, your lender will likely use the 710 score. 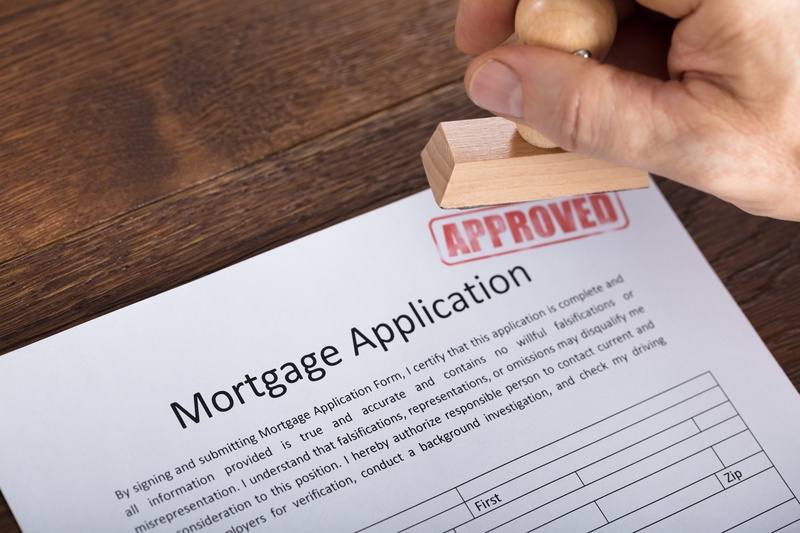 Credit matters for two main reasons when applying for a mortgage. First, lenders generally have minimum credit score requirements for approval. For a conforming mortgage on a primary residence, for example, Fannie Mae’s minimum FICO® Score requirements range from 620 to 700 depending on the borrower’s debt-to-income, the type of property, and how much money the borrower has in reserve. Second, once you’ve met the minimum score requirement, your credit is used to determine your interest rate. As we’ll see in the next section, a strong credit score can make a tremendous difference in terms of how much interest you’ll pay over the span of a mortgage loan. Your credit score can allow you to get a mortgage, but a good credit score can save you lots of money. To be perfectly clear, you need a decent credit score to get a mortgage, but it doesn’t need to be great. You can get a conventional mortgage with a FICO® Score as low as 620, which is generally considered to be fair credit. And, you could get an FHA loan with an even lower score. Having said that, a borderline credit score means that you’ll pay significantly more for the privilege of borrowing money than homebuyers with excellent credit. And, you may be surprised at the difference it can make. Here’s a quick look at current average 30-year mortgage rates by credit score and what it could mean to your interest. So, a borrower with a 620 FICO® Score would pay $69,960 more than someone with an excellent credit score of 760 over the term of a 30-year $200,000 fixed-rate mortgage. That’s a lot of money that could be used to save for retirement, pay for your kids’ college tuition, or for any other practical purpose. The bottom line is that strong credit will not only help you get approved for a mortgage, but it can make the process easier and less expensive. Borrowers with excellent credit scores may be able to put less money down, often have lower reserve requirements, and may be able to get approved for a higher loan amount. And as we’ve seen here, strong credit can result in tens of thousands of dollars in interest savings. For all of these reasons, it’s fair to say that your credit is very important when applying for a mortgage.